Old US 70 Unnamed Creek, Marshall County. 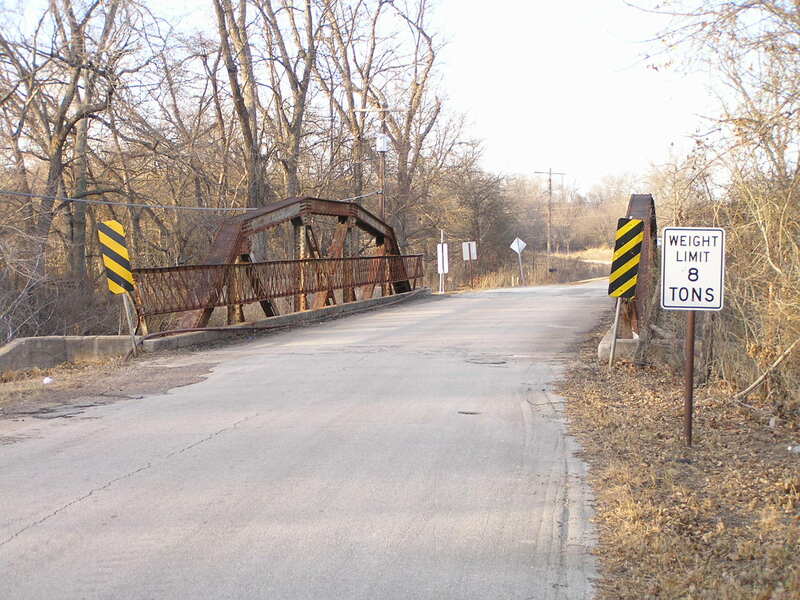 Built in 1926, this 80-foot riveted Parker pony last served US 70 before becoming a mere county road bridge. Above, a view looking through the bridge. 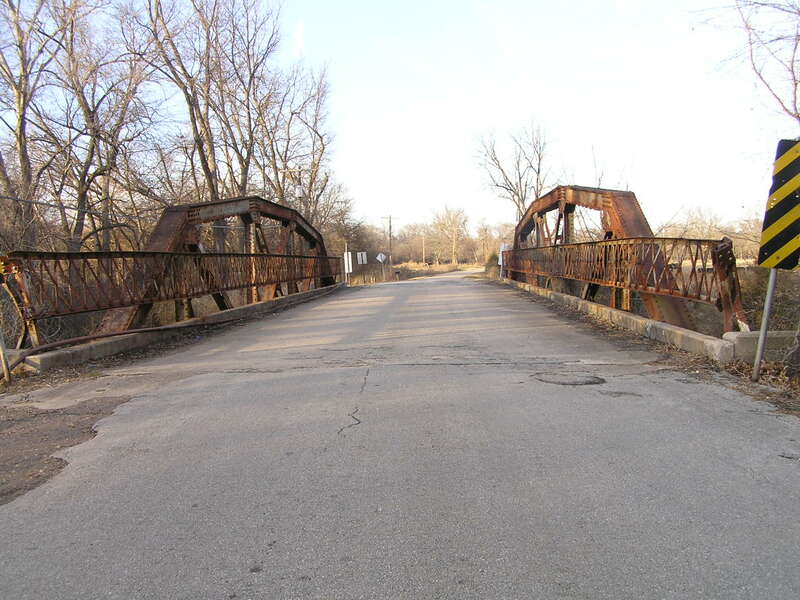 The bridge stands on an old paved alignment north of Madill. 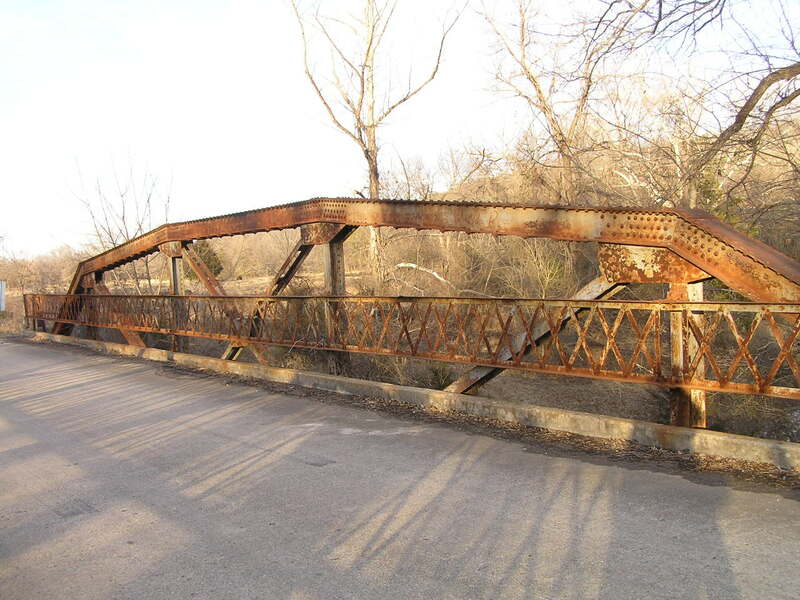 It is 18 feet wide, and is a state-standard design developed by the Oklahoma Highway Commission. Below, a side view of the span. The structure is in good condition considering its age. Above, deck view detail of the truss. Below, another view through the span. 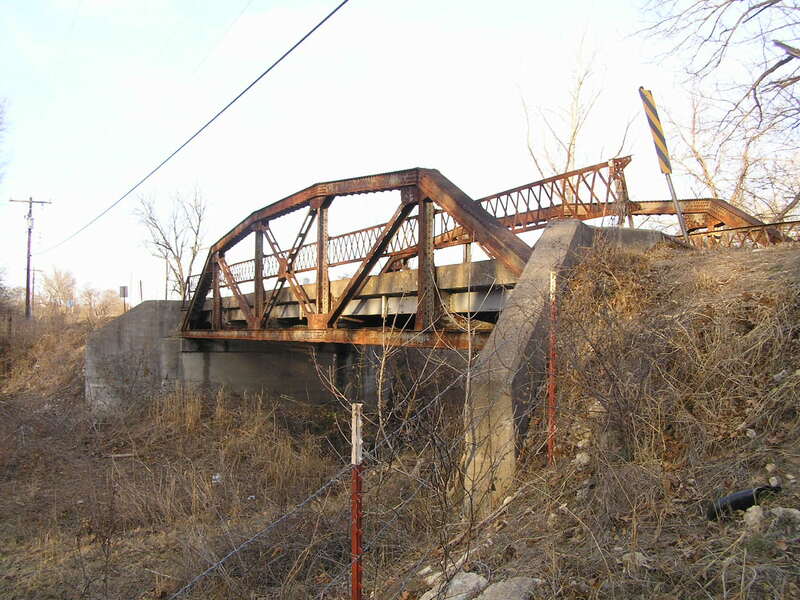 Other than some collision damage to the safety railings, this bridge stands basically as it was built.